Written by two Zen teachers married for thirty-seven years, it shows that relationships and all that arise from them can be a help – not a hindrance! – as we seek greater freedom and joy. It is possible to wake up together! 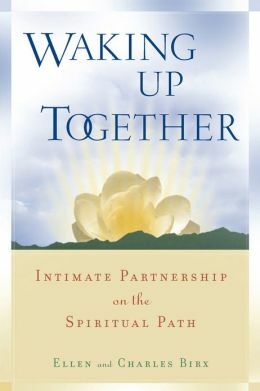 Going far beyond merely recommending skills and strategies to improve relationships, Waking Up Together serves as a guide in our ongoing process of spiritual discovery and intimacy. Throughout the book the authors intermingle stories and poems along with anecdotes from their married life, empowering couples to awaken to an ever-expanding experience of relationship that is full of spontaneity, mystery, awe, love, and unlimited possibility. Waking Up Together will be useful for couples of all persuasions. It affirms and encourages couples to cultivate the richness of their own relationship, and open to the unbounded potential of love.